A look at the life of Indian cienma's 'Chandni'. Veteran actor and Padma Shri awardee, who had an illustrious career spanning over four decades, passed away at the age of 54. She died on 24th February 2018 after suffering a cardiac arrest in Dubai, where she had gone along with her family to attend her nephew Mohit Marwah's wedding. Here's a look at the life of the iconic star. Known for her versatility as an actor, Sridevi was born in Sivakashi, Tamil Nadu on August 13, 1963. When she began her career in Hindi cinema she had already an established name in South Indian cinema. She debuted her acting career at the age of four in Tamil films. Later she went on to do many more films in Tamil, Telugu, Malayalam. Sridevi won Kerala State Film Award for Best Child Artist for her performance in Poompatta in Malayalam language. Most notable films of her childhood career are, 'Kandan Karunai' (1967), 'Nam Naadu' (1969), 'Prarthanai' (1970), 'Babu' (1971), 'Badi Panthulu' (1972), 'Bala Bharatam' (1972), 'Vasantha Maaligai' (1972) and 'Bhakta Kumbara' (1974). Sridevi made her Bollywood debut as a leading lady in 'Solva Sawan' in 1979 but she hit stardom after four years with 'Himmatwala' starring opposite Jeetendra. The film released in 1983 and became one of the biggest blockbusters of that year. The year was followed by another blockbuster 'Tohfa'. Both films established Sridevi as one of the leading actresses of Bollywood. Sridevi was featured in film 'Sadma' in 1983 bringing critical acclaim to the actress. It still remains to be one of the finest films of her career. 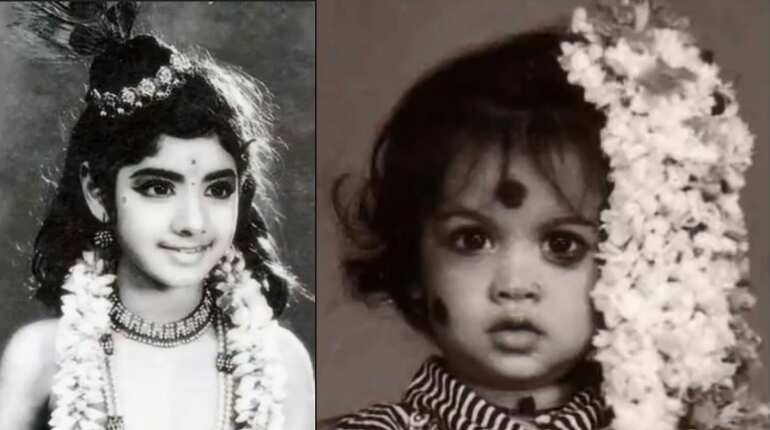 Sridevi's performance as an autistic child-woman character was widely praised and brought her nominations in the Filmfare for best actress award category and as well as in state awards and National Awards. Though the film didn't perform as per expectations, it is still regarded as an all-time classic. After the film 'Judaai' released in 1997 along with Anil Kapoor and Urmila Matondkar, Sridevi took a break for 15 years from acting career, after which she did make her brief return though television with 'Malini Iyer' and as judge in the show 'Kaboom' in 2005. Sridevi announced her comeback in early 2011 with 'English Vinglish'. Later she did more movies in Tamil and Hindi both languages. Her last film was 'Mom in 2017. Sridevi received India's highest fourth civilian award, 'Padma Shri' from President Pranab Mukherjee. She has also won four best actress Filmfare Awards for 'Lamhe, 'ChaalBaaz', 'Kshana Kshanam', 'Meendum Kokila'. Sridevi also received 'Kalasraswathi Award' from Andhra Pradesh government in 1997. In 2013 she was honoured with President of India 'Medallion of Honour' for contribution to 100 Years of Indian Cinema. 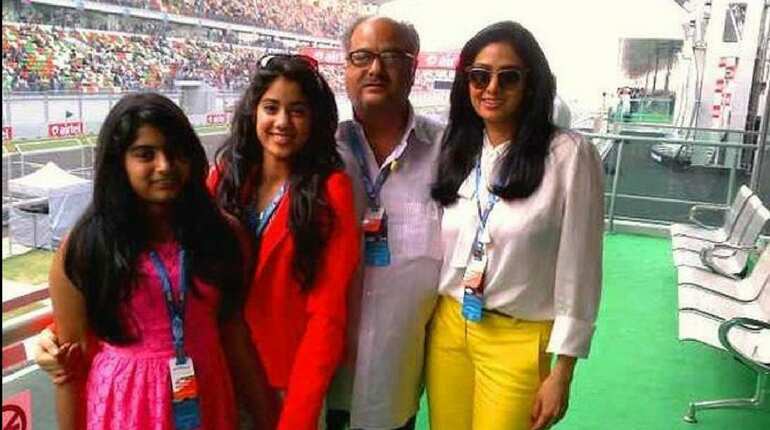 Sridevi married producer Boney Kapoor in 1996 and the couple have two daughters, Janhvi, and Khushi Kapoor. The audience can next see Sridevi in an upcoming film of Shahrukh Khan's, 'Zero' in which she has a special appearance.